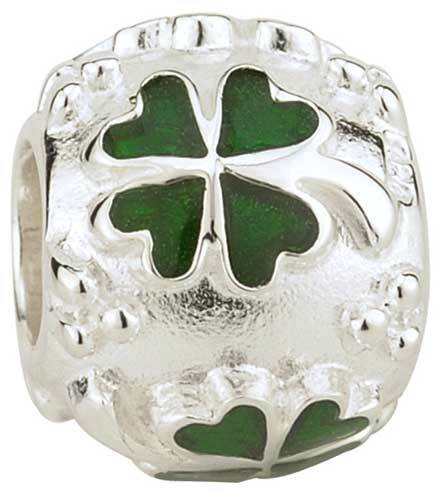 Four leaf clover charm features sterling silver construction that is accented with green enamel. This sterling silver clover charm is enhanced with green enamel accented leaves. The four leaf clover bead measures 3/8" wide.